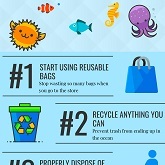 Check out a few ways on how you can play your part to reduce the effects of climate change on the ocean. Teachers & kids’ club leaders are invited to sign up for the sessions which aim to take youngsters on a fun-packed, virtual journey. 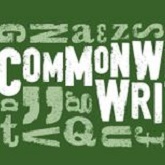 Write a short fiction of 2,000–5,000 words in English for a shot of winning £2,500 or £5,000. 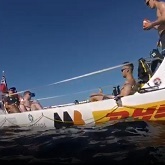 The team which started off from Gran Canaria is due to arrive in Antigua on Friday, February 16th, setting a world record. 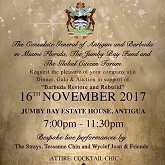 Only 150 tickets are available for the fundraising Dinner, Gala & Auction on Thursday, November 16th at Jumby Bay Estate House. 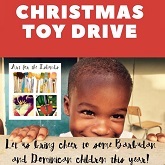 Art for the Islands in collaboration with Sharon Green (Brydens Antigua Wine Club) are hosting a Toy Drive for the children of Barbuda & Dominica. 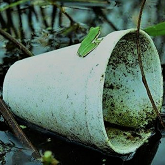 Earlier this year the government began Stage 1 of the nation-wide Styrofoam Ban. 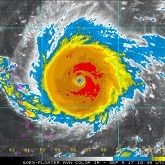 Our Southern island friends in Dominica were hit by Hurricane Maria on Monday evening, a category 5 storm on the Saffir-Simpson scale. 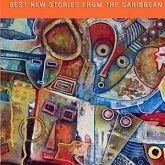 The Prize is for the best piece of unpublished short fiction in English. Deadline for entries is November 1st, 2017. Cabinet decided in light of the destruction to declare a State of Emergency. Here is our list of places to donate money and or items to assist the people of Barbuda. 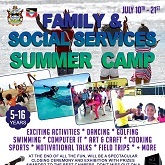 Register the youths ages 5-16 years old for Family & Social Services Camp set over July 10th - 21st. Activities include Dancing, Golfing, Swimming, Cooking and more. 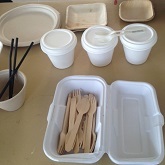 The biodegradable products can be imported tax free, meaning the cost will not differ from the price of using Styrofoam. 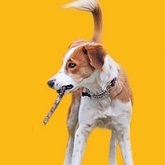 The 8th Annual Antigua Dog Show takes place Sunday, March 19th at Falmouth Cricket Grounds. This year, the show promises to be bigger and better than ever before. All Schools are encouraged to sign-up to learn to code at Antigua's 1st Annual Computer Science Week from December 5th - 11th, 2016. 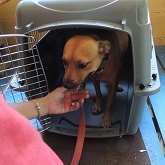 Dogs & Cats of Antigua is pleading with passengers traveling overseas to help transport pups to their foster and forever homes at no cost involved for you. The Dept. 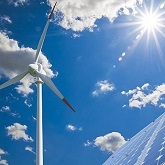 of Environment is advertising for suitable applicants to design Framework Agreements for Solar and Wind. 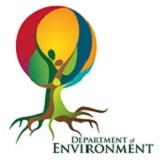 Suitable candidates are invited to apply for the position at the Department of Environment. Candidates are asked to submit their applications by August 12, 2016 to the Department of Environment. 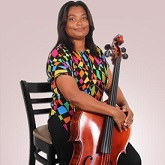 Sign up and learn how to play music at Antigua Music Camp, set over July 4th - July 22nd from Mondays to Fridays, 9:00 am to 3:00 pm at Christ the King High School. Nora and Bill Nedden, who dedicated 12 years of their lives to helping Antigua’s animals have retired and handed over the reins to a new team. 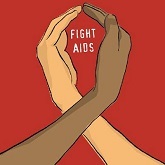 The AIDS Secretariat is inviting secondary school students to participate in a World AIDS Day poetry competition. The family of the late David Bruce Milliken-Smith ask that friends remember him with a donation in his name to Dogs and Cats of Antigua. 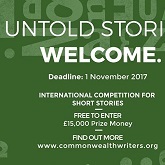 Commonwealth Writers are requesting entries from Antigua for the 2016 Commonwealth Short Story Prize. To make Dog Control and Registration Authority a functional unit that Serves the community. 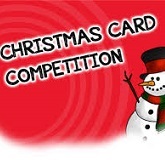 The Halo Foundation is inviting all schools of Antigua and Barbuda to enter The Halo Foundation’s Christmas Card Competition. 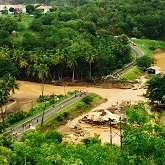 After the flooding and destruction of Tropical Storm Erika, people are in need of help in Dominica, make a donation. Read the latest newsletter and find out ways you can donate to their cause in rescuing and re-homing the animals. Kevorn is a 22 year old young man with so much intelligence, a wonderful nature and a beautiful character but does not have the tools to speak. On 27th January, the Jubilee Sailing Trust’s Lord Nelson, will be setting sail from Antigua to spend a glorious 14 days sailing to the beautiful Bahamas where she’ll be calling in to the BVI and Turks and Caicos along the way. 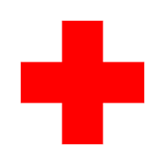 The Antigua & Barbuda Red Cross in collaboration with the American Red Cross has a First Aid App to launch. Antigua & Barbuda Red Cross is offering a Certified First Aid/CPR Training Course. to generate funds to assist a family of nine children who lost their mother in a car accident; luncheon to take place on Royal Caribbean Jewel of the Seas. AUA Sickle Cell Association contributes to two-day National Sickle Cell Conference. Submissions are now open for HFGF's Poetry and Research Competition 2013. The Antigua & Barbuda Red Cross will be celebrating our 72nd Anniversary on October 20th 2013. ABITPC starts Petition, Asks A & B Government to Protect Dolphins. 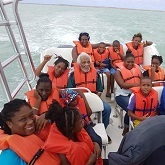 BARBUDA HEALTH DAY A SUCCESS! A gaming software development company has made a generous donation to Island Academy’s scholarship fund. The Dog Show hits the road, and is making stops at schools across the country.. Recipients of the 5th Annual Homes, Families and Garden Festival, Research and Poetry Competition awarded. The need for translators is a growing trend at Mount St. John’s Medical Centre because of the diversity of the growing population. Women Of Antigua will join with activists around the world for ONE BILLION RISING, the largest day of action in the history of V-Day. Have an interest in volunteering? 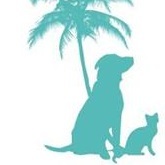 Volunteer for the 4th Annual Antigua Dog Show this year. The 4th Annual Antigua Dog Show is back! An owners and dogs alike are ready to take center stage. Wearing red in February isn’t just reserved for Valentine’s Day anymore. On February 1st AUA students will slip into their "Heart Smart" tees, all in the name of a good cause: to raise awareness about heart disease. Seven Seas is at it again. This time, through its local distributor Frank B Armstrong with another literacy project. General Insurance Company Limited celebrated their 28th anniversary in October. An open call for video submissions from professional and amateur filmmakers. The deadline for the Poetry & Research competition has been extended from 9th - 16th November, 2012. Insane Boot Campers helped raised money for the construction of Willikies Primary School cafeteria. Cottage of Hope for Girls has once again opened its arms to girls in need.Cottage of Hope is appealing to you to make a donation of food items, cash, clothing new or used to these girls. The Substance Abuse Prevention Division is encouraging students in Antigua and Barbuda to participate in the recently launched International Alcohol Art Competition. Antigua & Barbuda Launches the fifth annual Regional HIV/AIDS Testing Day: “A Healthy Lifestyle Getting To Zero New HIV infections"
Receiving awards for their outstanding service to the Community were Cindy Price- Chief Welfare Officer, Alethea Byers-Principal Probation Officer (Ag), Ava-Maria Thomas- Deputy Chief Welfare Officer, Brenda Bennett- Government’s Residential Assistance and Care for the Elderly (GRACE) Manager and Carlstein Quinland-Chief Welfare Aide. Classes will be held on Mondays and Fridays at 9am at the centre which is located at the back of the Green Bay Primary School. Students with learning disabilities stand to benefit from what is being described as a “Tangible Donation” made by the Chinese, towards the advancement of Information and Communication Technology in Antigua and Barbuda. The American Medical Student Association (AMSA) a student organization at AUA (American University of Antigua) is organizing another Health Fair on March 10, 2012 at the Multipurpose Cultural Center from 9:00 am to 1:00 pm. Sign the petition and give animals a chance of life in Antigua! 100 art books, many of them limited editions have been donated to the Art department at the Antigua State College (ASC) by philanthropist, Mrs. Rachel Mellon. The readiness of the Agriculture and Livestock sectors are critical for the sustainability of our Food Security. Changes to the Special Needs Programme at CCSET prompt parents to create an alternative option. Follow both sides of the story in this special report. The Community Development Division in the Ministry of Social Transformation welcomes entries for its fourth annual Homes Families and Gardens Festival poetry and research competition. 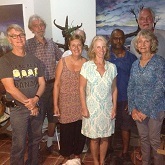 The Rotary Club of Antigua Sundown has come on board to support a unique micro-enterprise project aimed at improving livelihoods while contributing to solid waste management. Text-a-thon to support the fight against non communicable diseases. Texts to LIME and Digicel are Free. One parent of a special needs child wants more to be done for persons with disabilities in Antigua and Barbuda. A two day workshop geared towards conducting diagnostic and preliminary technical assessment of the beekeeping sector, in Antigua wrapped at the Point Wharf Fisheries Complex, Wednesday. Each year, the American University of Antigua (AUA) and AMSA (American Medical Student Association) reach out to the Antiguan community by offering free medical exams during AUA-AMSA Health Fairs to any interested citizens. (St. John’s, Antigua; March 23, 2011) Members of the public and all stakeholders within the Energy Sector will be given an opportunity to debate and contribute feedback on the Draft National Energy Policy this coming Monday March 28th 2011, when the Energy Desk within the Office of the Prime Minister hosts the National Energy Consultation. The Ministry of Agriculture, Lands, Housing & the Environment has carried out successful initial trials on white potatoes (Solanum tuberosum), which aims to boost food security and maximize farmers option in producing other staple based commodities. Antigua and Barbuda is at the hour hosting a consultative group of experts (CGE) on National Communications from the parties not included in Annex1 of the Convention. On Saturday, April 9, 2011, CCSET and The Tides Restaurant (Dutchman’s Bay) will host an elegant evening with entertainment, a live and silent auction and exciting door prizes, all in aid of the CCSET Voices Special Needs program. The Young Poet’s Society of Antigua and Barbuda will resume on Saturday 15th January at The Best Of Books Friar’s Hill branch at the Royal Palm from 1.30 to 3pm. Methodist Church Antigua Circuit launched an exhibition at the National Archives chronicling the history of the Methodist Church in the Caribbean with particular emphasis on Antigua. Snow white and the 11 dwarves? A locally established household detergent manufacturing company, namely D& Y Affordable Sparkling is making an impact at the community-base through various outreach initiative. The Antigua and Barbuda Environment Division invites you to the Botanical Gardens. The Caribbean Optometrists Association (CARIOA) wishes to support the call for assistance to our Caribbean neighbours in St Lucia , Barbados , St Vincent and Haiti. Diabetes is everybody's problem. Anyone can register for the free one day seminar at the Clinics or the Ministry of Health. Fashion designer Noreen Phillips has come up with a unique idea to benefit the Mental Hospital of Antigua and Barbuda. John Tercek, Vice President Commercial Development for Royal Caribbean Cruises Ltd. says tour operators must embrace downloadable tours in order to meet the demands of cruise passengers. 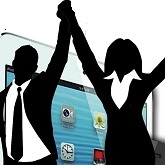 Crystal Business Solutions is pleased to announce the winners of its second annual Point and Villa Scholarship Award. 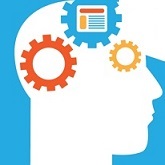 There’s a saying: luck is when preparation meets opportunity. If so, Lawson Lewis is a particularly lucky young man. He’s recently joined young entrepreneurs from around the world as a member of the Global Village at Lehigh University in Pennsylvania. Hey there fellow Vaginas and Moaners..
Ric O'Barry and Louie producer of environmental the COVE are on.. 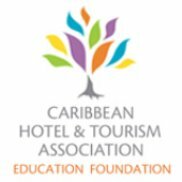 The Caribbean HIV&AIDS Alliance (CHAA) launched a groundbreaking and innovative HIV and AIDS Responsible Tourism Model at a forum at the Jolly Beach Resort in Antigua oWednesday, 31st March 2010. ANTIGUAN BAND ITCHYFEET ROCK ST BARTHS BUCKET!! Having seen the band play at the Prize Giving ceremony of the Super Yacht Challenge in Antigua earlier this year, the owner of Visione booked the band to perform on the quayside during this prestigious annual regatta. Mount St. John’s Medical Centre is a 185-bed modern medical complex which provides full inpatient, diagnostic and physician services. About 300 people - families and friends, crowded onto the dock at the Antigua Yacht Club Marina Resort to watch the acrobatic spectacle last night. Organizers of the Help Haiti Benefit handover the cheque to the Red Cross. On board the yacht La Loupiote, moored at the Antigua Yacht Club Marina, husband and wife Franck and Delphine are preparing for what is probably one of the most unusual shows to hit Antigua. HURRICANE POWER ATHLETIC CLUB SAYS "THANK YOU"
Hurricane Power Athletic Club under supervision of Coach Cordova “Popoy Simon” worked with Canadian Jerry Friesen to organize the 4th Annual Cruise to Run event in Antigua. Just in case you didn’t hear your name called – here were the lucky winners of last Saturdays raffle. Filmmaker Howard Allen chairs the recently formed non-profit company and Dr. Alvin Edwards is its vice-chairman. The organisation of independent filmmakers and producers joins other regional counterparts to ensure the development of the film industry in the OECS. APPLICATIONS FOR UNAIDS SPECIAL YOUTH PROGRAMME (SYP). UNAIDS headquarters in Geneva has just put out a call for applications for the third round of the UNAIDS Special Youth Programme (SYP). Black and Beautiful is the theme for the 2010 Wadadli Pen art competition. "The Cove," a U.S. documentary film about dolphin hunting in Japan's Wakayama Prefecture, was named best documentary Friday at the Critics' Choice Awards in Los Angeles. The Wadadli Youth Pen Prize writing competition returns with a Black History Month challenge. 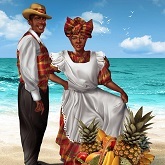 With an expanded age range, a visual arts component, and the intriguing Black and Beautiful theme, organizers are hoping to attract even more entries than the competition’s initial 2004 to 2006 run. The Beautification efforts of the airport gardens held on Saturday December 19th and termed as “a Christmas present to Antigua and Barbuda” has been deemed a Resounding success. The School for the Deaf is hosting its first annual Talent Expose’ on Saturday 5th December at The Multi-purpose Cultural and Exhibition Centre; starting at 6:30 pm. Entrance fee is EC $10 at the door and tickets may be purchased at the school or from parents and teachers. Refreshments will be on sale. A desperate plea for assistance to get a terminally ill visiting police officer home. 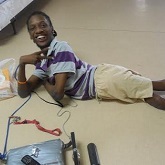 is a charity dedicated to assisting persons suffering from sickle cell anaemia in Antigua.